This is an advanced Spy Bathroom Radio Pinhole Camera. It has more powerful functions. You can use it to listen to your favorite radio programs anywhere even in the bathroom. Because it is waterproof, even you put it in humid environment such as the bathroom, there will be no harm to the product. 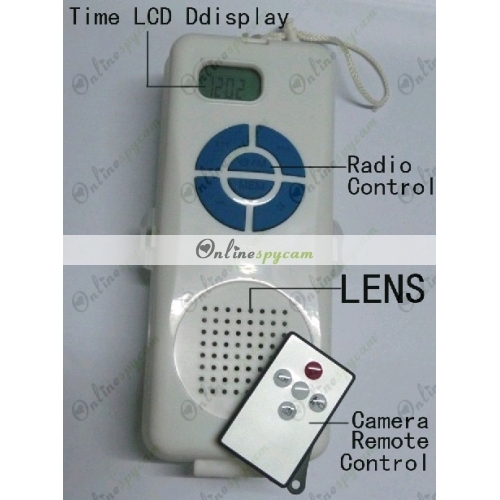 As a professional spy camera, the most important is the quality of the recording. You don’t need to worry about that you may get some unclear video image. The camera’s resolution is up to 1280x720, so of course it can record clear videos. With the help of a 16GB memory card and a large capacity battery, this product can work for 8-10 hours continuously. If sometimes you want to record something wonderful without notice, you can choose this Remote Control Waterproof Spy Radio Camera as your good assistant.